← Maritimes Butterfly Atlas Aviva Campaign – vote now! Just when I thought the season had drawn to a close I received another butterfly record! Marg Millard photographed a Red Admiral at White Point, Nova Scotia, on November 15th. This is a really late record for the species, or for any butterfly in the Maritimes! 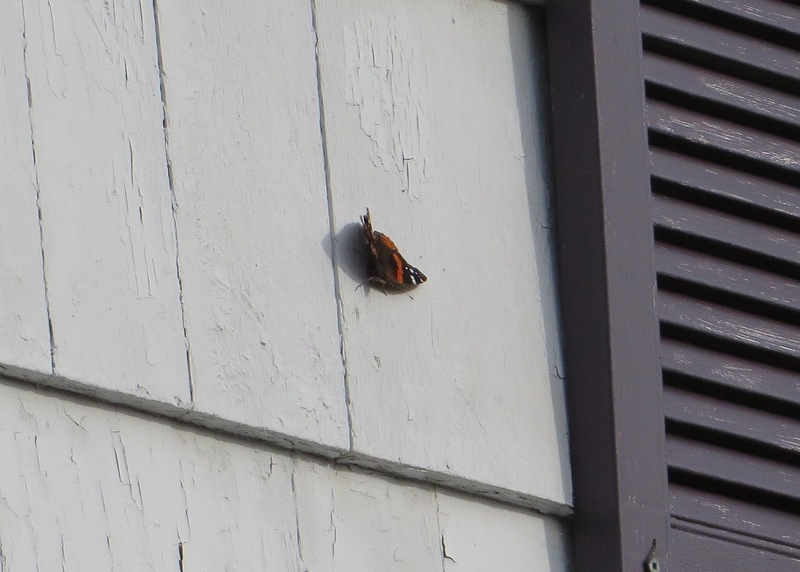 The previous late record for Red Admiral for the Maritimes is October 27th. This previous late record is from last year, when there were was an abundance of Red Admirals present in the Maritimes. The only later Maritimes record for any butterfly that I’m aware of is a Painted Lady found by James Hirtle on November 18th, 2012. Red Admiral. Photographed at White Point on November 15, 2013, by Marg Millard. Both Marg’s and James’ late records are from Nova Scotia’s south shore. The relatively warm air coming off the ocean keeps the coastline from getting the hard frosts of more inland areas, allowing individual butterflies to persist longer right along the coast. In other news, the Maritimes Butterfly Atlas is still in the running for the Aviva Community Fund. The project is currently ranked 26th out of 406 projects, however, to advance to the next round of competition we need to finish in the top 10. To get there we need your votes! You can vote daily for the project until November 25th by clicking the banner below.